Available in stores now is a Kenner tribute assortment of Terminator 7″ Scale Figures from NECA Toys. This wave features three figures, each inspired by Kenner’s Terminator action figures of the 90’s. Included are the Metal Mash Endoskeleton, the color changing White Hot T-1000 and the Power Arm T-800. They join the previously released Endoglow T-800 Endoskeleton, which was a San Diego Comic-Con 2015 Exclusive. Each comes packed on a specialized classic style card back. We picked up the figures from sponsor Entertainment Earth. After the jump, check out my review and over 70 photos of the figures. » Continue Reading. 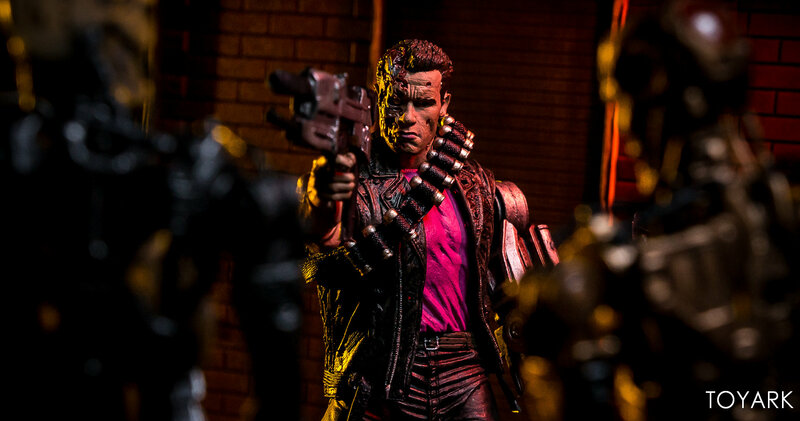 The post Kenner Inspired Terminator Figure by NECA – Toyark Photo Shoot appeared first on The Toyark – News.